A new report from Pace University calls for more assistance for nuclear weapons test survivors from the states that conducted the tests. 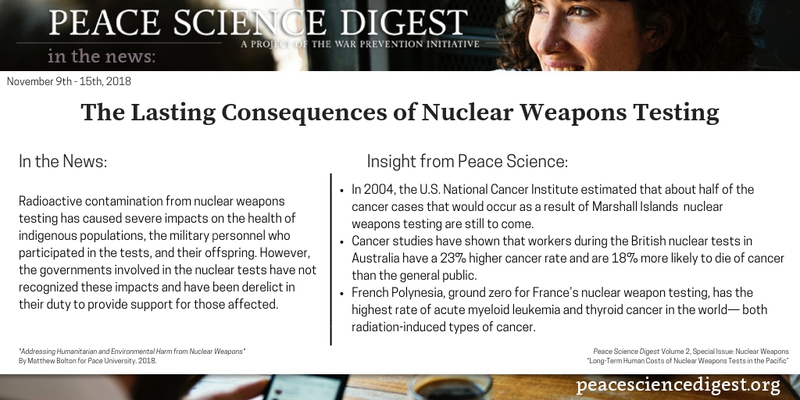 Peace Science has shown the devastating and lasting effects of nuclear weapons testing in the Pacific. “Addressing Humanitarian and Environmental Harm from Nuclear Weapons” By Matthew Bolton for Pace University. 2018.